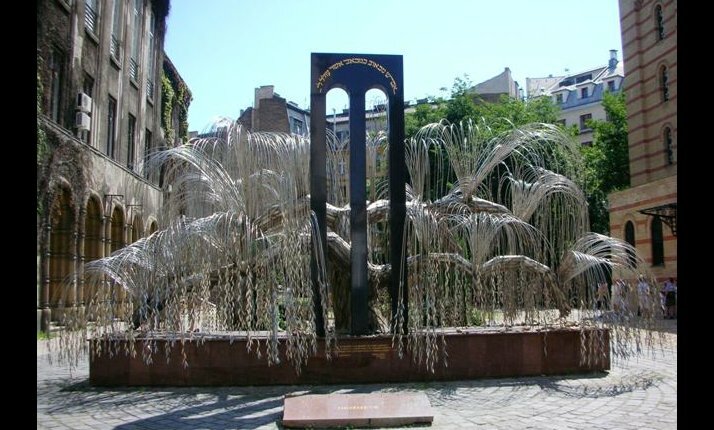 The Holocaust memorial in Budapest, Hungary. Image Source: Caroline Slifkin via The Holocaust Explained. [In 1981:] I see no antisemitic implications in denial of the existence of gas chambers, or even denial of the holocaust. ... [Subsequently:] I was asked whether the fact that a person denies the existence of gas chambers does not prove that he is an anti-Semite. I wrote back what every sane person knows: no, of course it does not. A person might believe that Hitler exterminated 6 million Jews in some other way without being an anti-Semite. Since the point is trivial and disputed by no one, I do not know why we are discussing it. In that context, I made a further point: even denial of the Holocaust would not prove that a person is an anti-Semite. I presume that that point too is not subject to contention. Thus if a person ignorant of modern history were told of the Holocaust and refused to believe that humans are capable of such monstrous acts, we would not conclude that he is an anti-Semite. On the surface, Chomsky's comment pointed merely to the issue of whether or not anti-Semitism was a necessary motivator for a Holocaust denier. His answer to that was simply: no. His phrase, "refused to believe that humans are capable of such monstrous acts" is interesting. It indicates that his comment delicately separated apprehension of horror from the act of historical understanding. However, Chomsky's comment subtly removed the responsibility to learn about past events for those who are ignorant about them. His turn of phrase is based on a twist in emotional reasoning and quasi-moral judgement. His passing hint that decent people could not believe such a thing ever occurred releases those people from the uncomfortable burden of grasping past realities with any accuracy, based on the mere fact that it makes them feel uncomfortable in the first place. In other words, if the world becomes indescribable or horrific, if genocide makes you uneasy, if you feel that death is not part of the social contract, that hear-no-evil-see-no-evil obliviousness is good character reference enough to get you off the hook. Thus, flip that sentence, and a tell-tale logic lurking beneath Chomsky's hypothetical example emerges: Only indecent people could believe such a thing had ever occurred. This is the reasoning that leads to Holocaust deniers cast themselves as decent people combating those who perpetrate a monstrous lie in order to acquire money and global power. In general, denying the reality of historical events has become ever easier in the Internet era, when data can be tossed together without contextualization or with false, non-existent or jumbled sourcing. Media manipulation and massaging data are so commonplace now due to technological advances that no one knows what is real; and historical sources are often assumed by the public to be fakes. Millennial attitudes envision any document as something which could be doctored or falsified. Films of the past, with their unorchestrated, clunky, flickering and black and white images, alienate through their lack of colour and unprofessional editing; they are simply too different from the multimedia hype and smooth presentations that now pass for believable representations of reality. As a result, historical media footage and photos are objects of public doubt. People think that the gross manipulation of historical sources and media reports has always been the norm because it is now. They think anachronistically that the politicization of everyone, everything and every discernible event, something which has occurred since the 1960s, and something which we take as standard, was also standard in the past. In the world of Millennial spin, opinions are constantly taken as facts, especially when the real facts are unpleasant, or simply contradict a favourite political standpoint. Bebelplatz commemorative marker of Nazi book burning, Berlin, Germany. Image Source: Caroline Slifkin via The Holocaust Explained. Caption for the above photograph: "The Bebelplatz is known as the site of the infamous Nazi book burning ceremony. On May 10 1933, the first of the book burnings was carried out outside the University of Berlin, with university students leading the parade. Dr Joseph Goebbels began by throwing the works of Sigmund Freud into the flames. All books which, in any way, contradicted Nazi ideas were banned or destroyed. The Bebelplatz memorial consists of a glass plate set into the cobbles, giving a view of empty bookcases. ... Students at Humboldt University hold a book sale in the square every year to mark the anniversary of the events of 10 May 1933." Holocaust deniers appeal to freedom of speech and contend with those who criminalize hate speech. This reverse-engineered argument overwhelms with irony and sometimes implies a parallel between deniers' critics and the Nazis. After all, the Nazis were the ultimate censors; their book burnings were notorious. Holocaust deniers appeal to Heinrich Heine's line from 1821: "Das war ein Vorspiel nur, dort wo man Bücher verbrennt, verbrennt man auch am Ende Menschen." 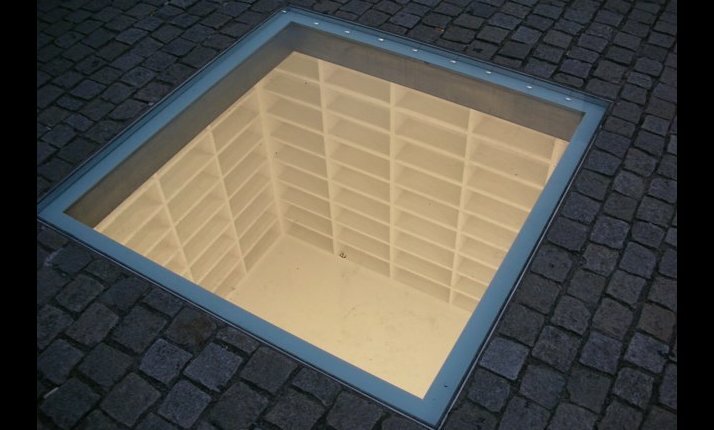 ("That was but a prelude; where they burn books, they will ultimately burn people also.") Deniers proclaim that the Holocaust did not happen as stated, but that if they are silenced, the Holocaust will happen in the future. 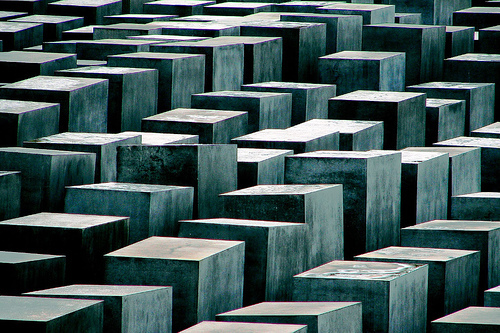 Make no mistake: the Holocaust happened. Tragically, that savage wartime nightmare is now mated to another fact, namely, that its very historical weight is now insidiously harnessed to undermine its legacy and lessons. 1945 British Pathé newsreel on the Holocaust. Video Source: Youtube. Caption for the above video: "English [Conservative] MP Mrs. Mavis Tate shows proof of the holocaust with shots from her visit to a German concentration camp [in] the original 1945 British Pathe newsreel 'German Atrocities - Proof.' This Pathe newsreel showed the world at the time what atrocities had been committed."